Today was our last day in Pittsburgh and it was a fairly easy one. 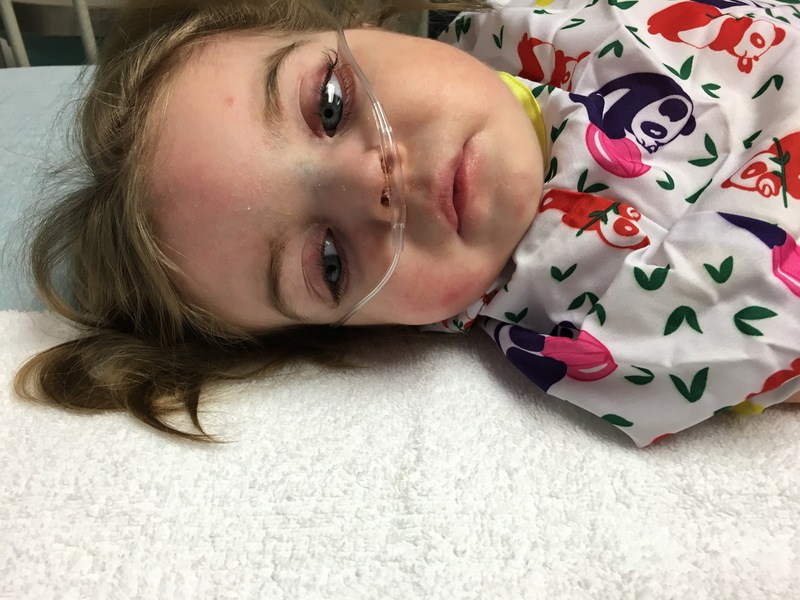 Tori had lab work to check her potassium levels first thing this morning. They have stabilized with the supplemental potassium we have been giving her, so that will continue. 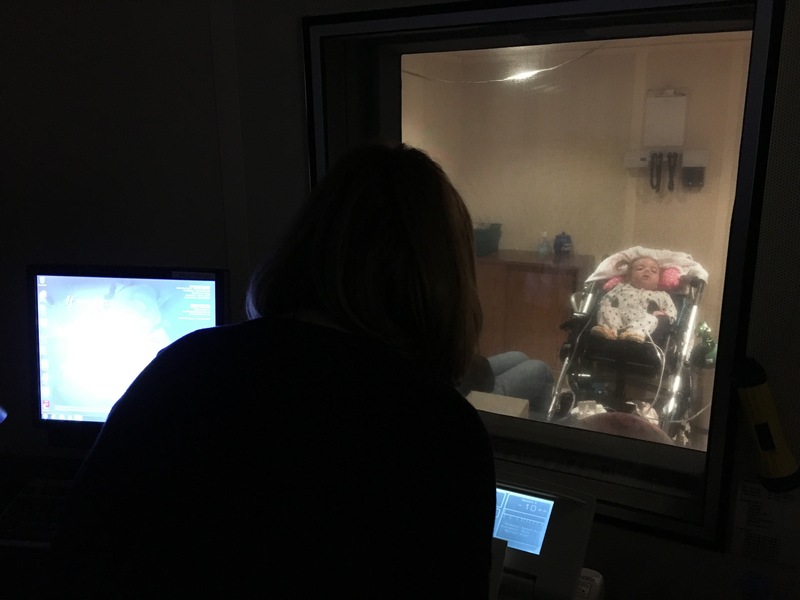 We then went to do her Visual Evoked Potentials eye exam, which is an interesting experience. They play a movie and then change the screen to a black and white checkerboard screen that moves. 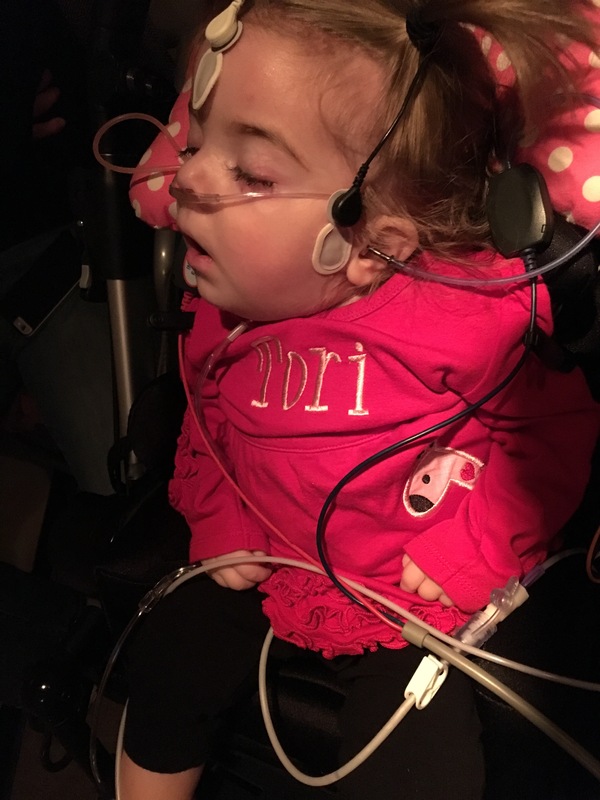 Tori had sensors all over her head to detect brain activity as she was being stimulated. We checked out of our room at the Ronald McDonald House and were surprised to find out that someone had anonymously paid for our stay! (For those who aren’t aware, they suggest a $15 per night donation to help cover a fraction of the costs. They never turn anyone away for financial reasons.) Thank you to whoever generously paid for our lodging! 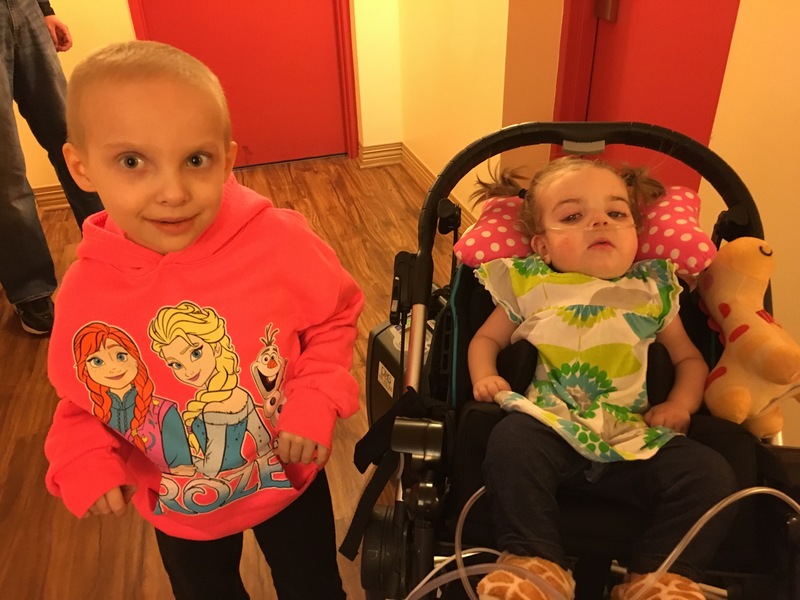 We had the privilege of meeting a young lady – Johanna – with metachromatic leukodystrophy (MLD) who has been at the hospital for months now receiving a stem-cell transplant. You can follow her story here. 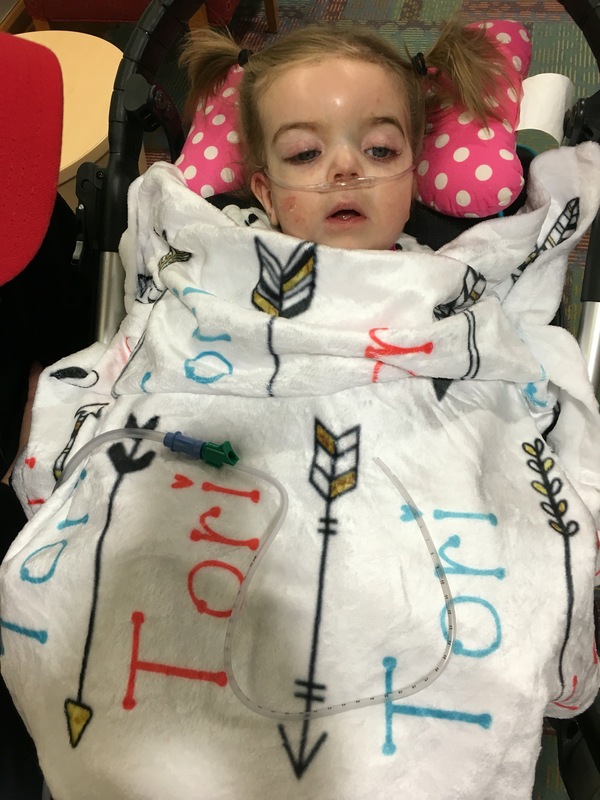 Her mom has been following Tori’s story and reached out to us during the week. 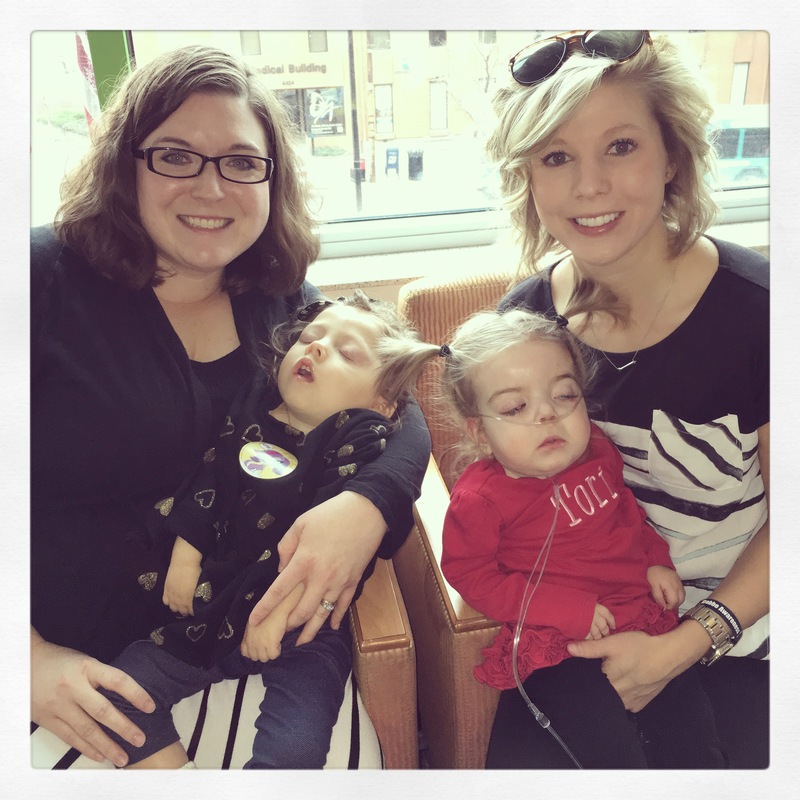 We discovered that we were actually next-door neighbors at RMH! We were so happy to get to meet them. 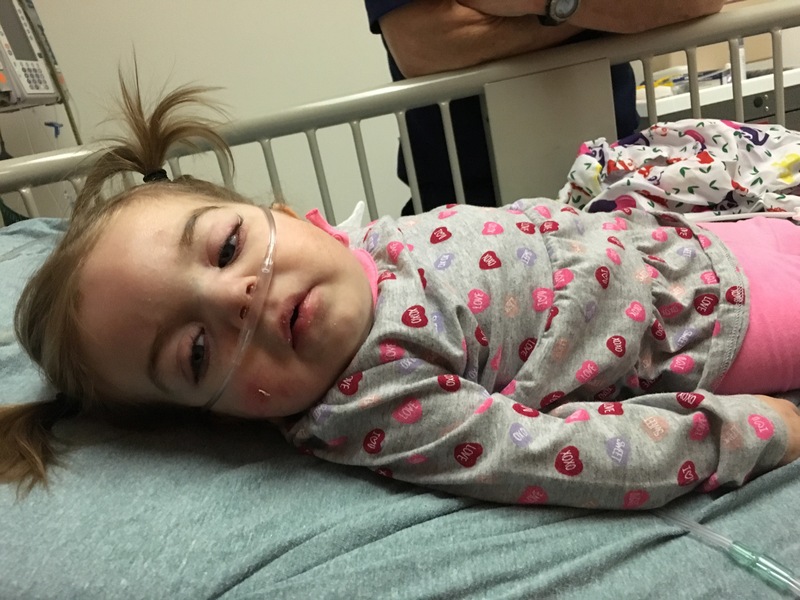 Please pray for Johanna (JoJo) and her family as they finish up their time in Pittsburgh and as the transplant continues to save her life. 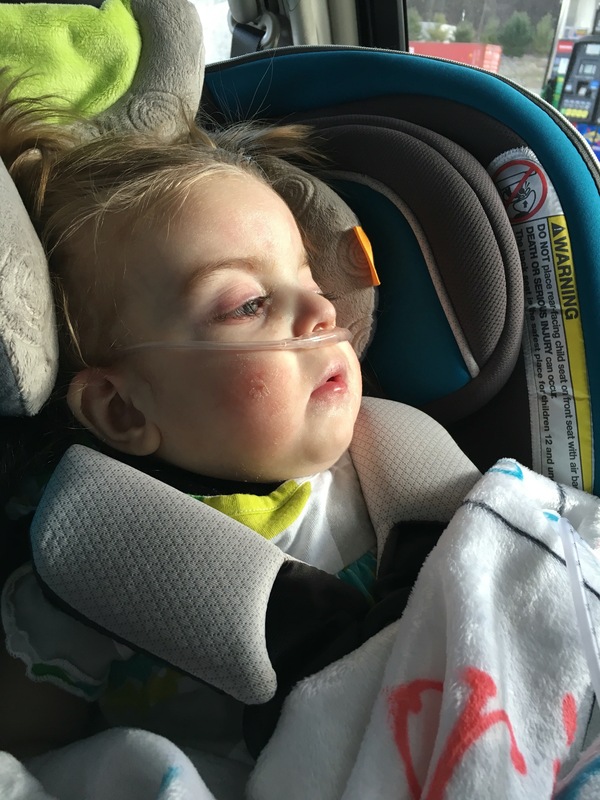 After that, we had lunch with Anniston’s family and were then joined by two ladies who started a ministry to support families of leukodystrophy children. They call it Hope Alive. They brought gifts for the children and roses for Reesa and me. I love that they are advocating and raising awareness as well as being so focused on supporting the families who are going through so much. We said our goodbyes to the Bazar family (who we love and are SO glad we got to see so much this week) and we drove home. Tori did extremely well and seemed to be so alert and comfortable the entire way. 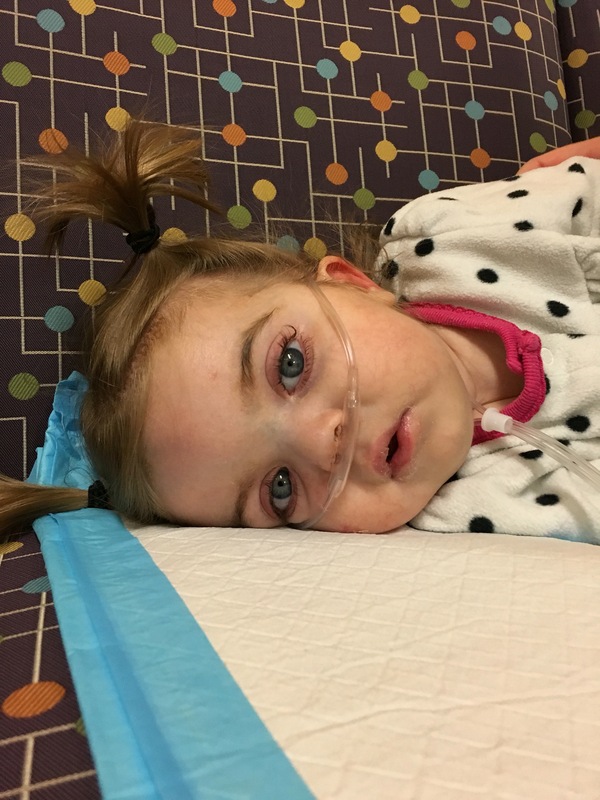 We have many specialists with which to speak this week to address the things that were discovered in Pittsburgh but we feel encouraged about Tori’s overall health. 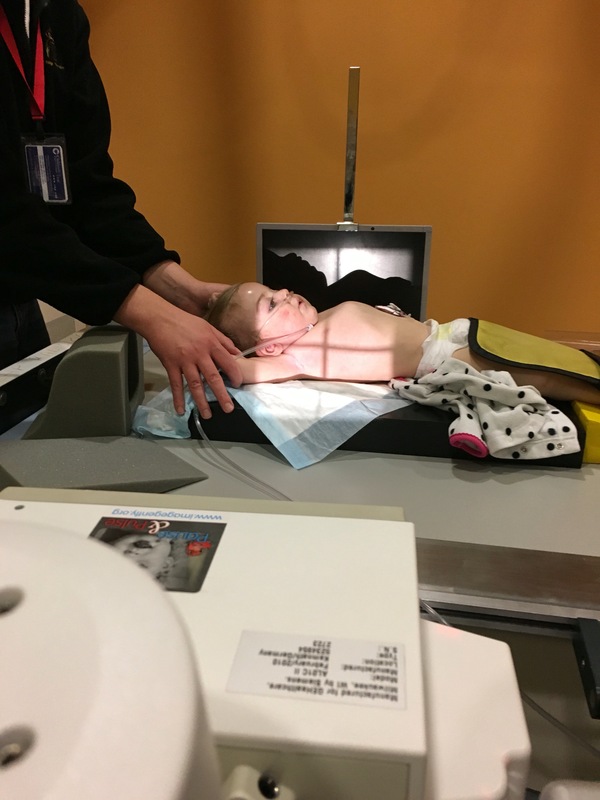 Today Tori had a Behavioral Audiology evaluation and a chest x-ray. It was a pretty easy day. 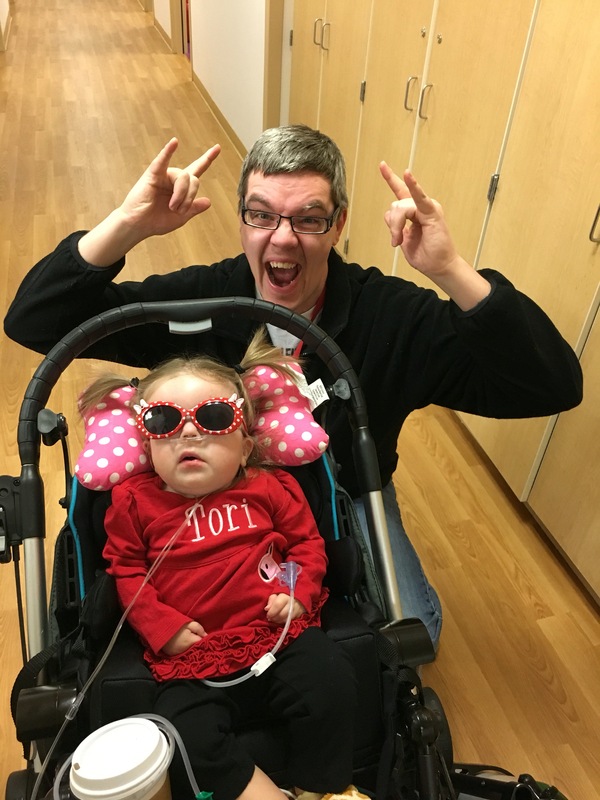 For the audiology test they played sounds and made noises to see how Tori would react. 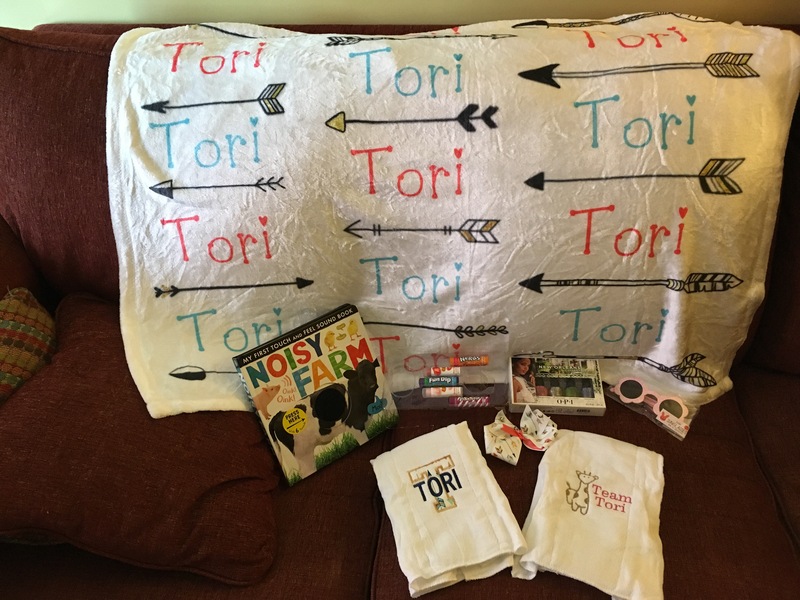 Tori did fairly well! There were some noises she didn’t care about but others either startled her or interested her and she responded. 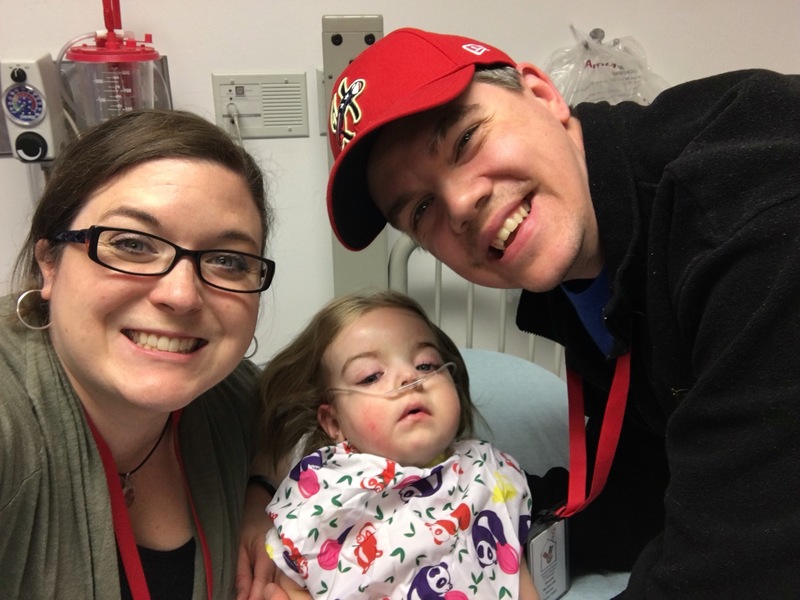 We then met up with Anniston’s parents while they waited for her MRI to be completed. We have had such a wonderful time visiting with them this week! Then Tori went in for her chest x-ray. 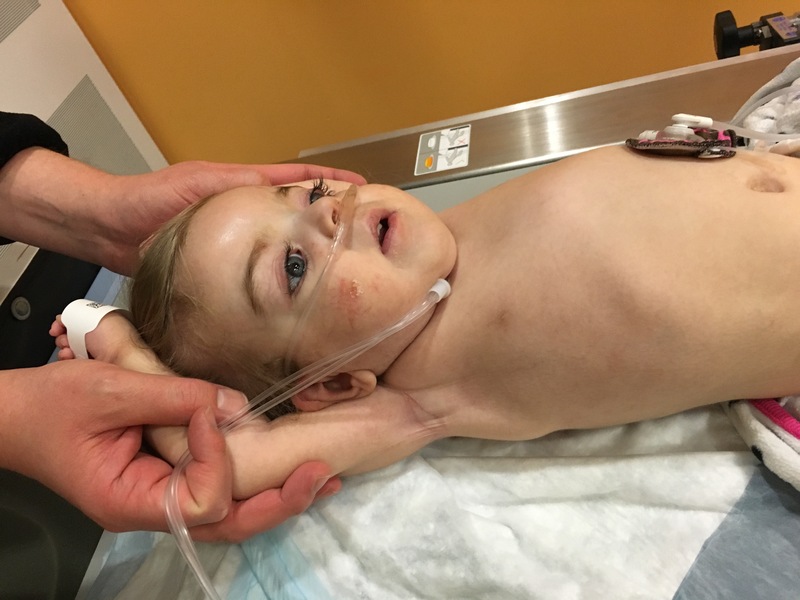 Dr. Escolar wanted to see how her scoliosis is affecting her lungs, if at all. 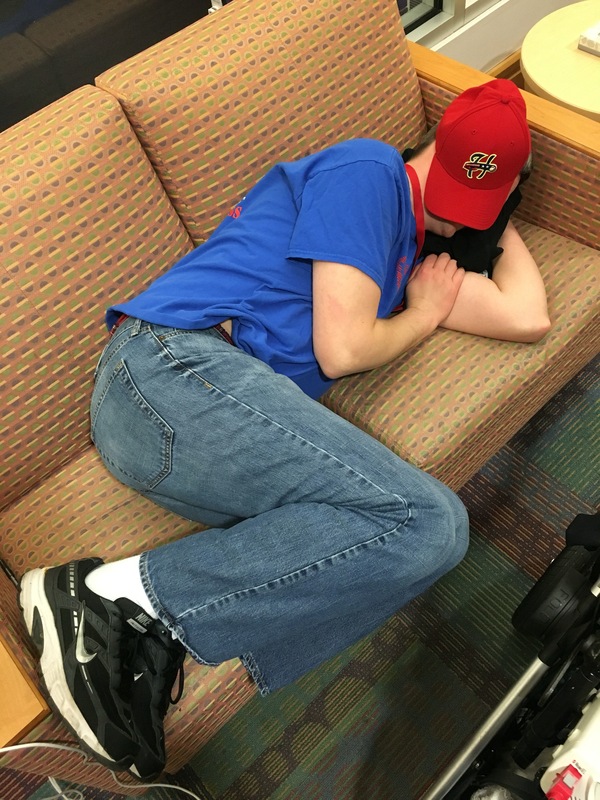 After the x-ray we went back up to our room in the Ronald McDonald House and rested for a few hours. We are exhausted and it felt so good! Dr. Escolar wanted to meet with us again so we went down to her office. 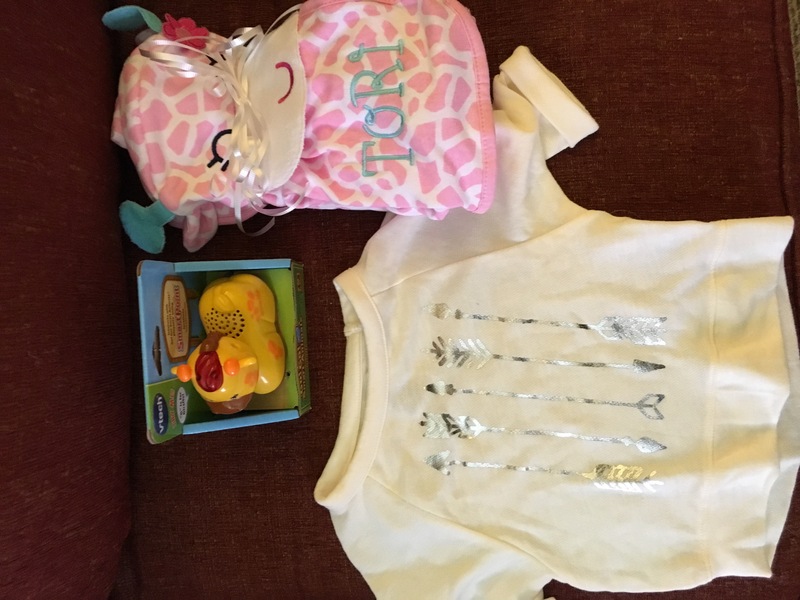 She gave us some things to consider and we will be making appointments with some of Tori’s specialists in Hershey. Nothing is of great concern right now, but if we don’t address some of these potential issues they could be a problem later. We will get a full report with her recommendations in a week or so. Unfortunately, her brain has continued to atrophy and Krabbe is still very present. But, God is sovereign and still in control! Thank you all for continuing to pray for Tori and for us – your support and encouragement means more than we can express. Today Tori saw Dr. Escolar and her team and had her MRI. She did say that it seems like Tori is in stage four now, but she would know more after studying the MRI. 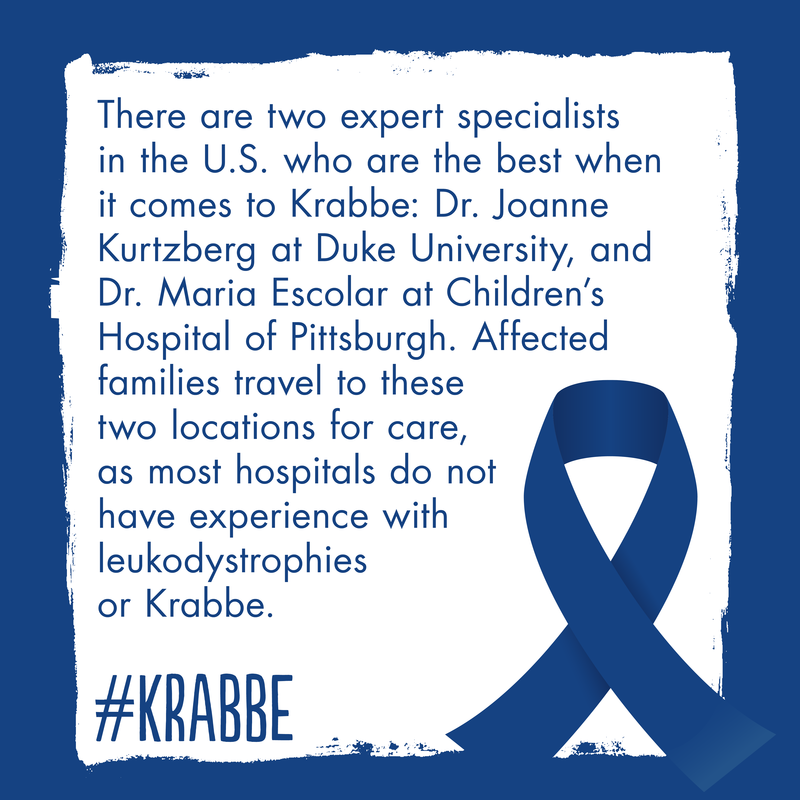 Many Krabbe kids have been in stage four for years, so it doesn’t necessarily mean a quick death. They are overall pleased with her muscle tone and flexibility. She does have some scoliosis and we will be repositioning her more often to try to help with that. Tori really showed them how much she drools this morning, which was great because they could see what we deal with each day. We will be adding back into her routine a low dose of a med to help her not drool as much. 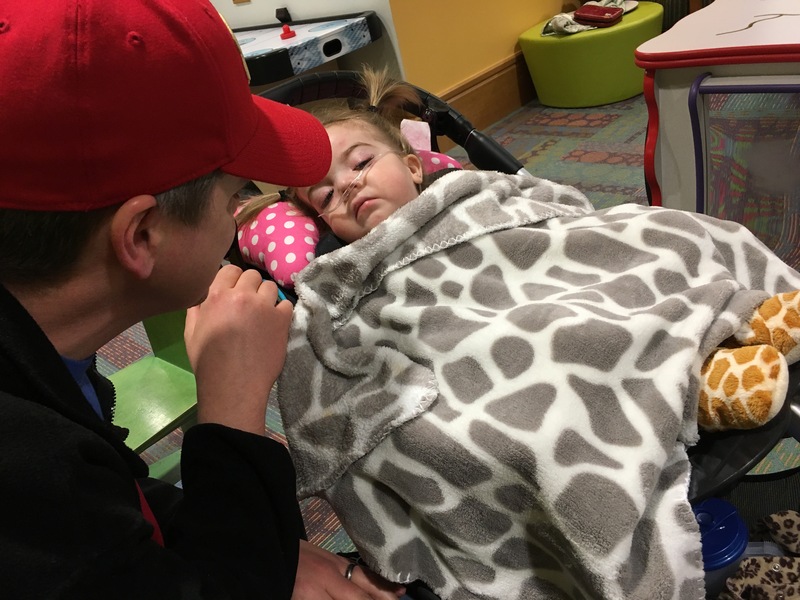 We will also be adding a nebulizer treatment to our respiratory therapy routine for her to help her be more comfortable. Other than that, no major changes to her care. 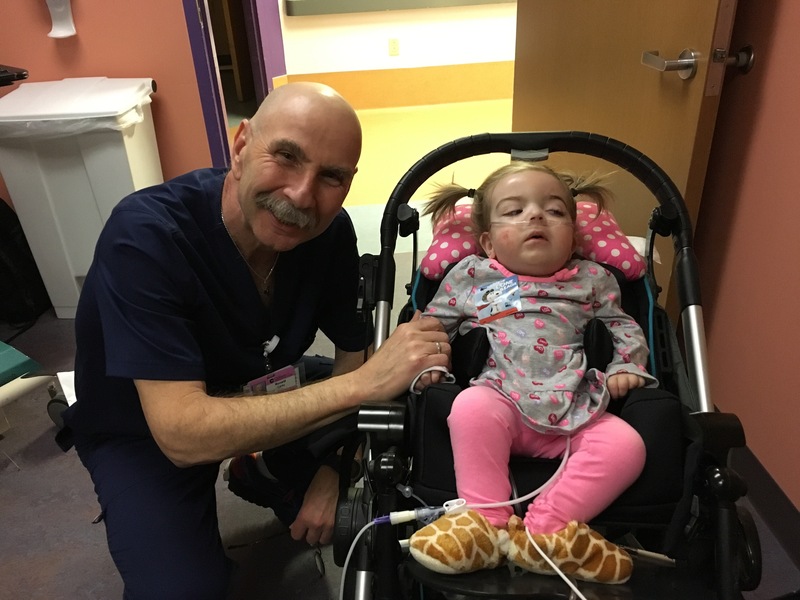 Dr. Escolar is pleased with how well Tori is doing on breastmilk – we are SO thankful to all those friends who have so generously been feeding Tori! It has helped her be healthy, helped her digestive system work well, and Brennan and I believe it has attributed to her overall wellbeing. They said that we are doing a great job with her, and that was much-needed encouragement. There are so many things we are supposed to do for her each day and sometimes we forget things and feel like we have failed in a way. 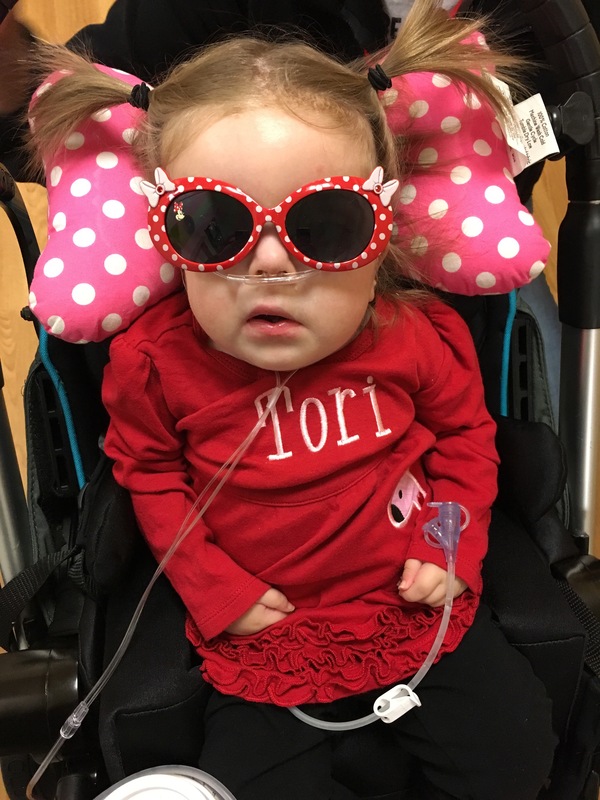 Hearing Dr. Escolar say that she is pleased with our care of Tori meant so much. 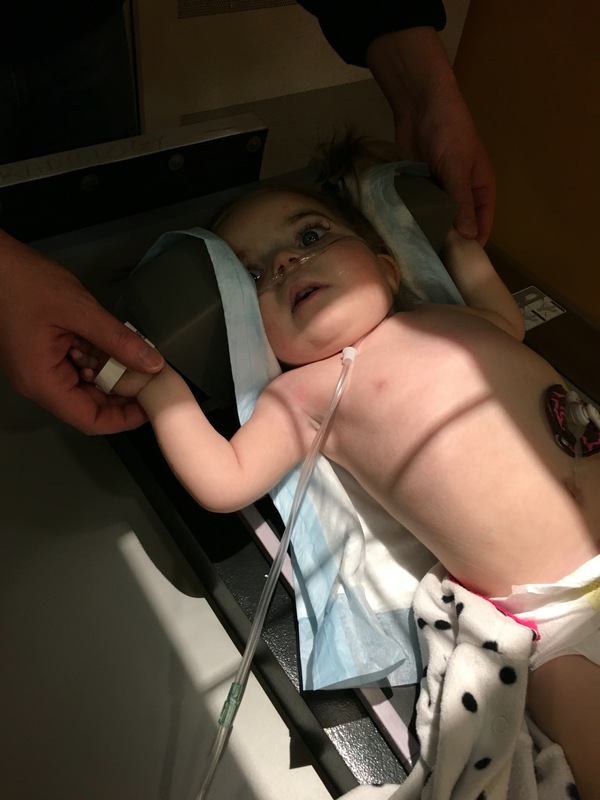 After that, we headed straight to radiology and they took Tori back for her MRI. It was about 3.5 hrs before they called us back to see her. She did well and is very alert and talkative. Her potassium is low so we will be giving her a supplement to help her maintain a good level. Tori had two appointments today: ophthalmology and audiology. The ophthalmologist dilated her eyes to evaluate the anatomy and we will get the results later this week. 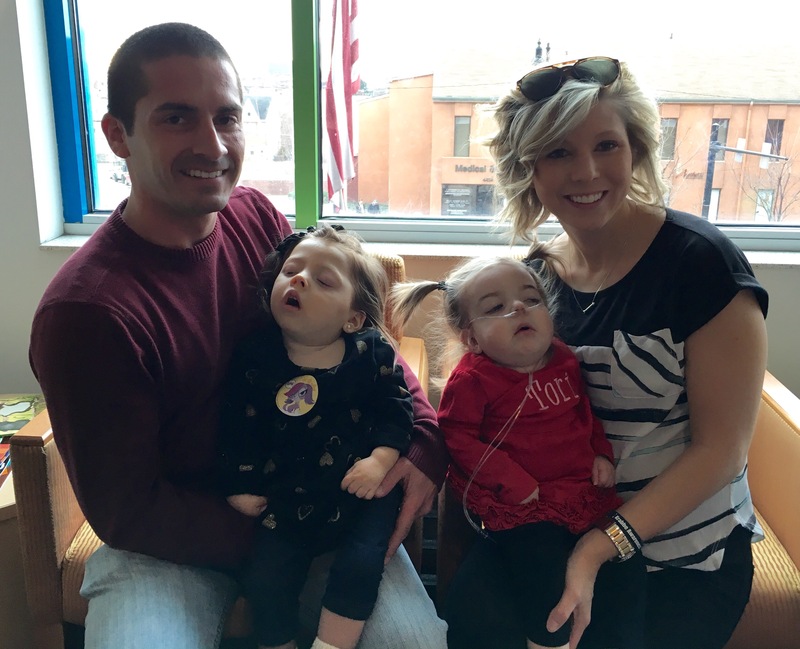 After her eye appointment we were able to spend time with the Bazar family and precious Anniston! Anniston is almost two and lives in Louisiana. We are so glad they are here at the same time as us! 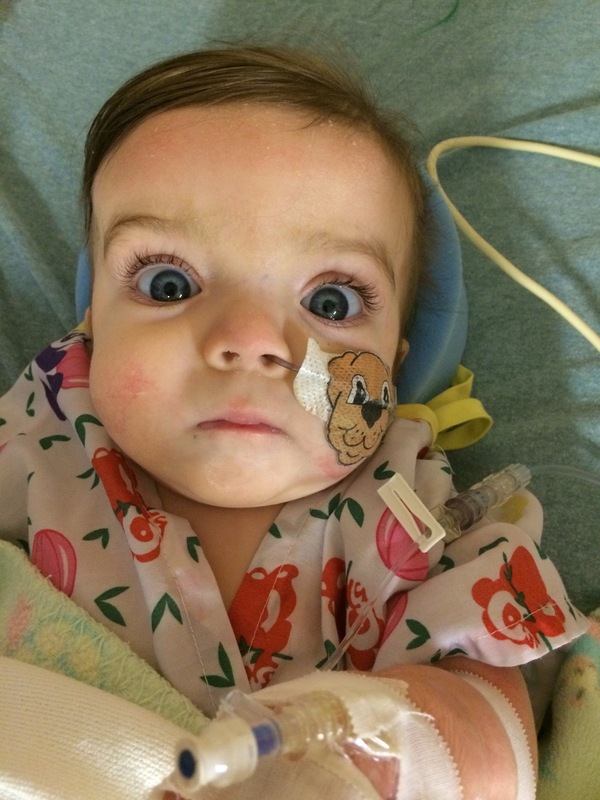 Tomorrow we see Dr. Escolar and Tori will have her fourth MRI. Today we had our quarterly visit with Dr. Escolar in Pittsburgh and things went mostly well. Overall, Tori is still doing really well given her early-infantile form of Krabbe. She even improved in her visual/cognitive understanding from a 2-3 month level to a 5 month level! 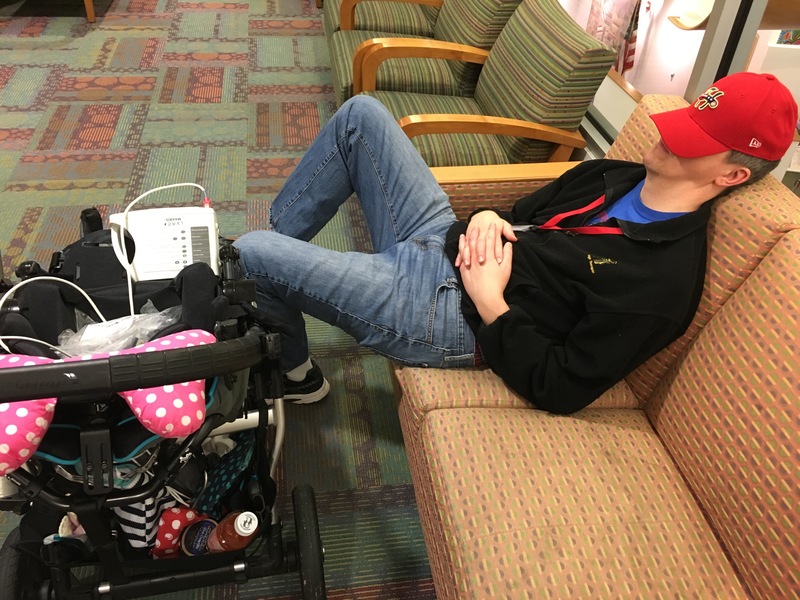 Vision therapy has been helping! However, as we suspected, Tori’s blood oxygen levels aren’t consistently where they need to be. 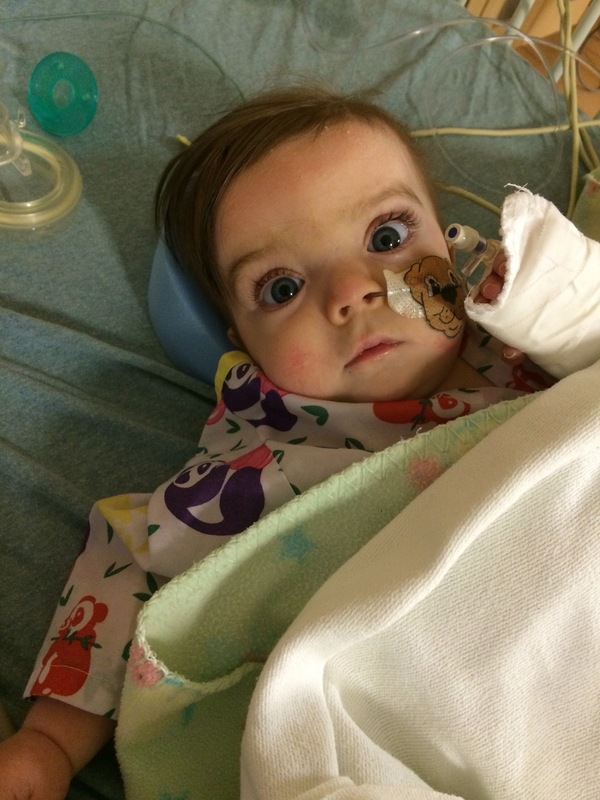 They put her on .25L of oxygen while we were here to see how her stats improved and they went back to normal. 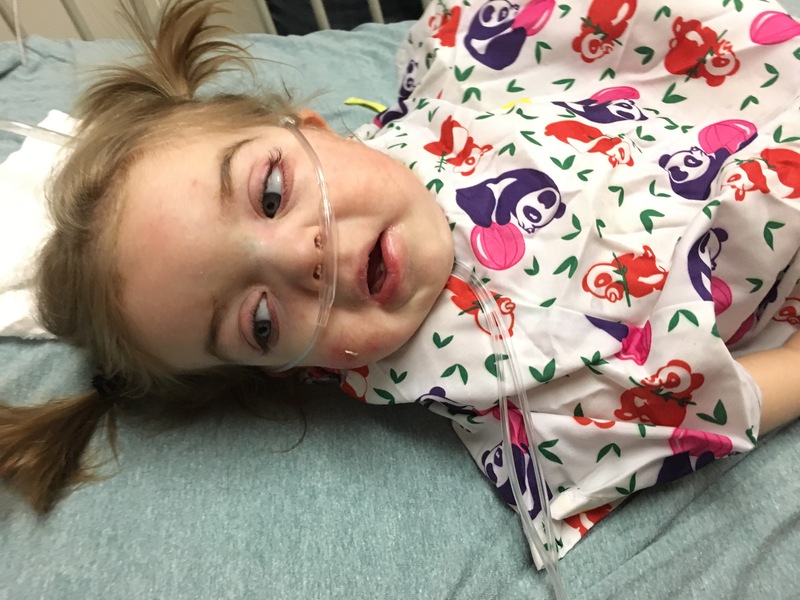 Dr. E suspects that her breathing has been affected by her distended belly (she’s had a lot of gas in the past week) and by a need for deep suctioning (for which we didn’t have the correct supplies until today) to clear more secretions from her airways. They did a belly x-ray and found that her colon was indeed enlarged, so we will begin doing a few different things to relieve the gas. 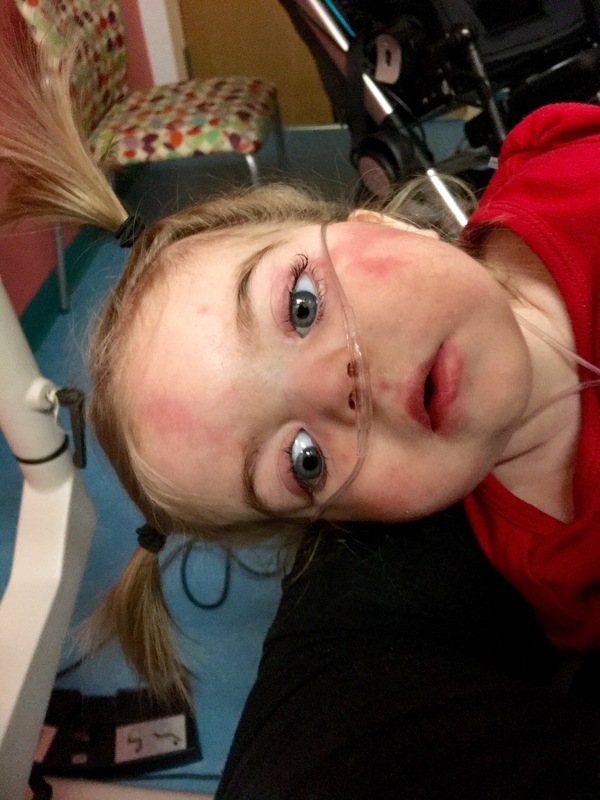 They also did a chest x-ray noted that her lungs have some atelectasis, so we will begin treating that immediately with a nebulizer, oxygen, and some other therapies. 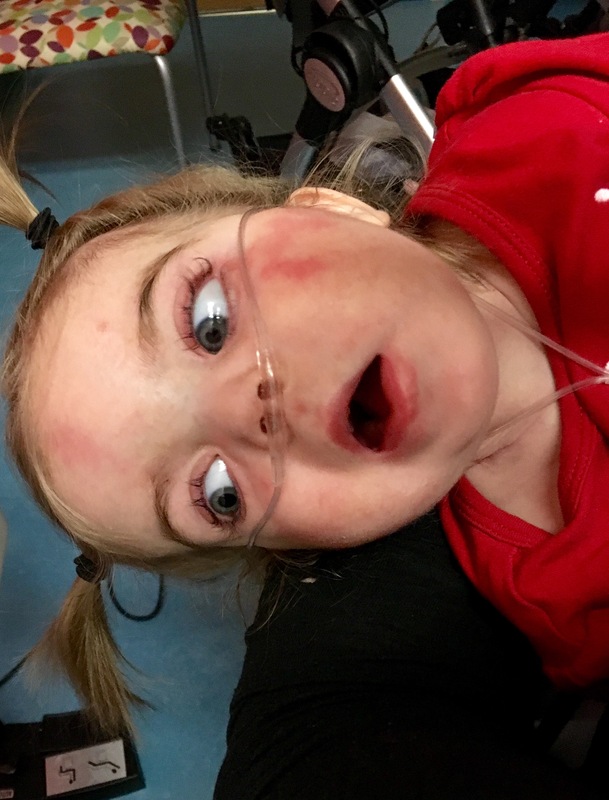 Tori will also begin having .25L of oxygen at night, just to help her out. Dr. E believes this will also help her sleep soundly FOR THE FIRST TIME because her body won’t be working so hard to breathe. Mommy is VERy excited about this prospect. This will also give her more energy during the day. 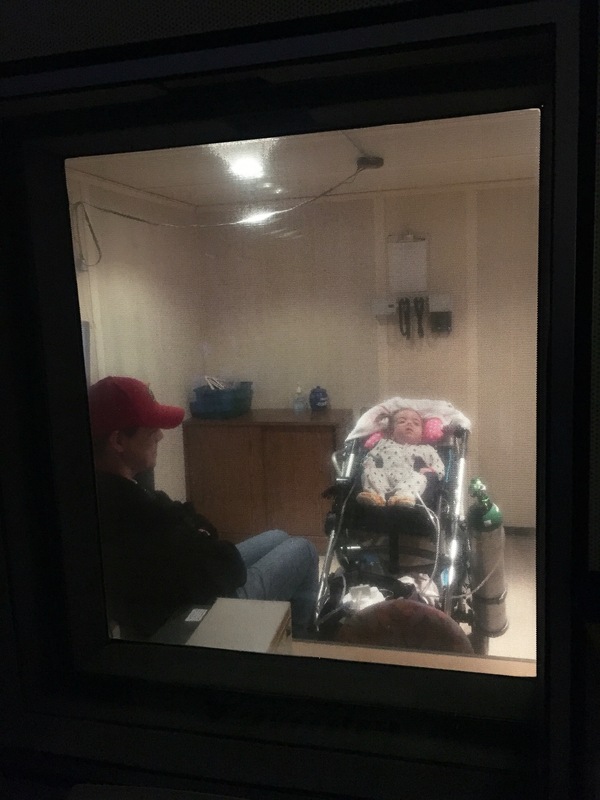 We knew some oxygen would likely be coming soon so we weren’t surprised, but of course we’d rather her be on room air for longer. At least it’s only at night and it’s a very small amount just to help her heart and lungs work less. 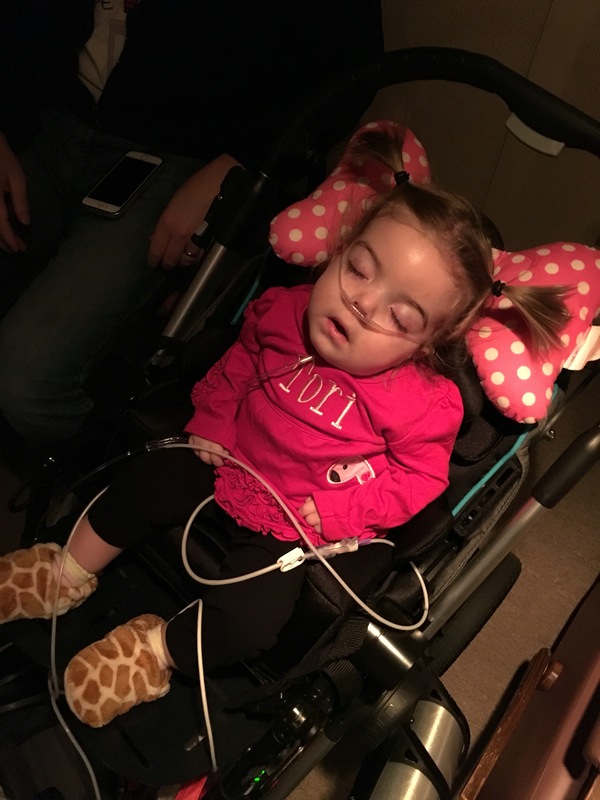 Dr. E will be tapering Tori off of baclofen (a medication for muscle tone) because her tone is so good and because she thinks that will also help with her breathing. It will be nice to remove a med from her routine! 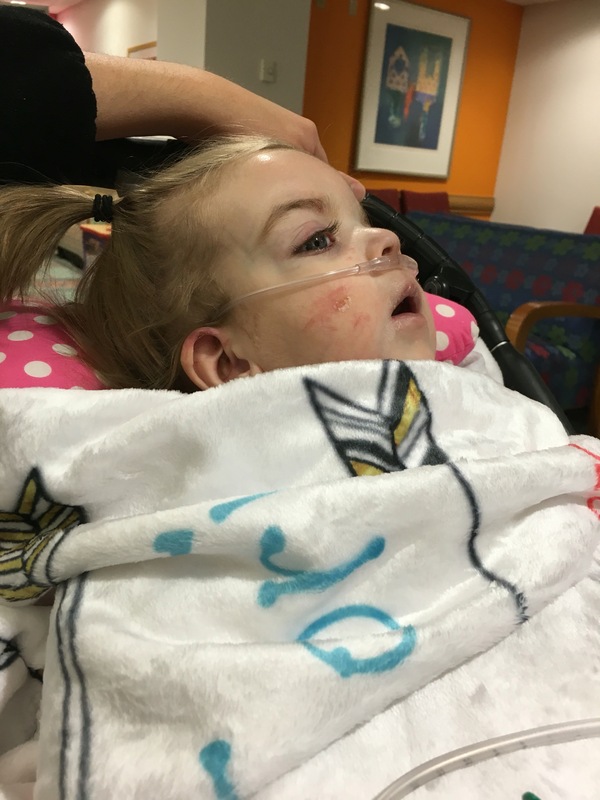 Tori had been on the smallest possible dose of baclofen anyway so it won’t be a drastic change for her body. Because Tori was her only patient today we got a lot of face time with Dr. Escolar and had the opportunity to discuss many things with her that we hadn’t been able to before. We learned a lot and feel more prepared for future decisions. This was a quick trip this time and we are back home already. Each visit brings added therapies and treatments and we’re more than ready to have nursing assistance in the home. But, for now, we’ll continue doing things on our own for as long as we can. 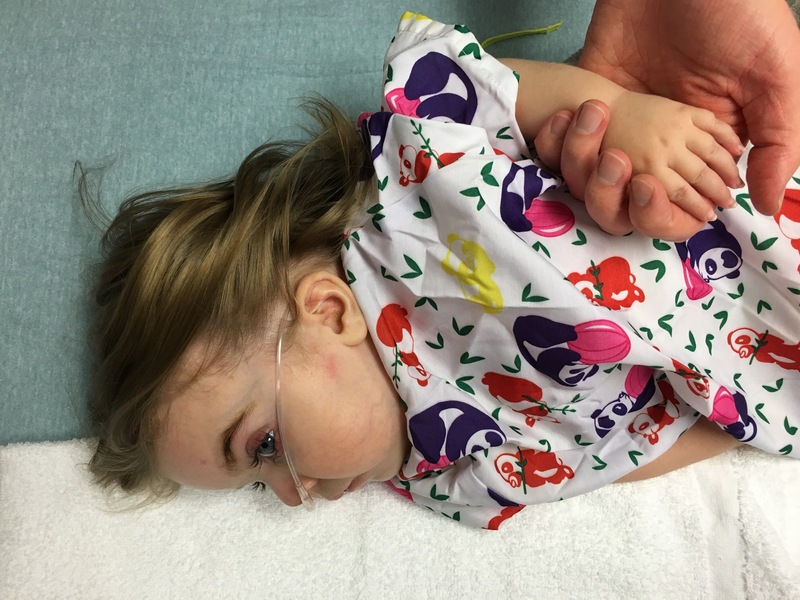 Please pray for Tori’s belly and for her lungs – we hope we can treat these successfully at home and not in the hospital. 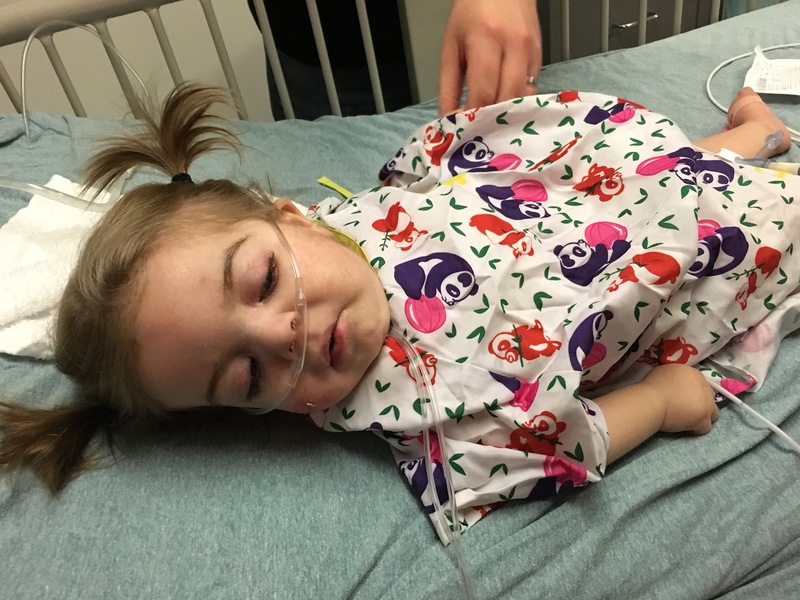 I spoke with Dr. Escolar this morning and received the results of Tori’s August MRI. Dr. Escolar said that the volume of her brain has shrunk further and there is more atrophy of her cortex. There is dried blood in the membrane around the brain (subdural hydroma) that should reabsorb on its own. 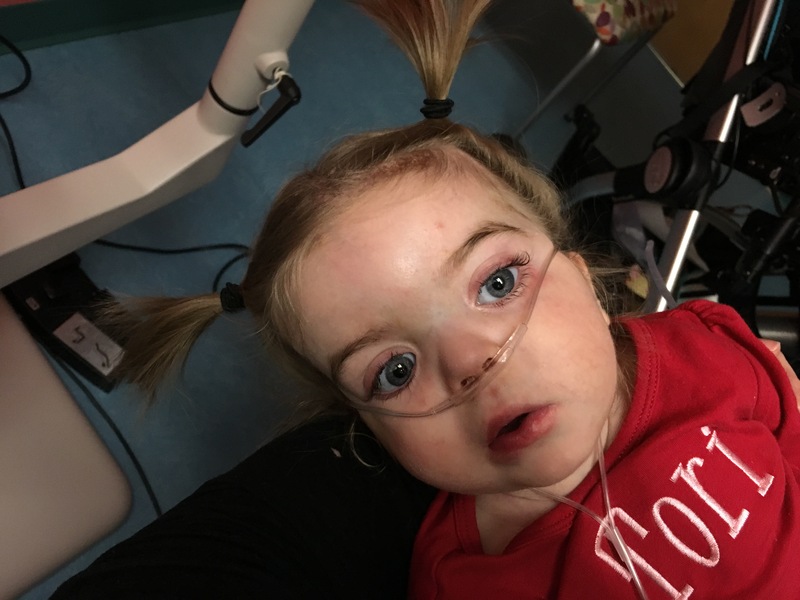 Her spinal nerves have not changed though they are somewhat swollen – which is normal for Krabbe babies. 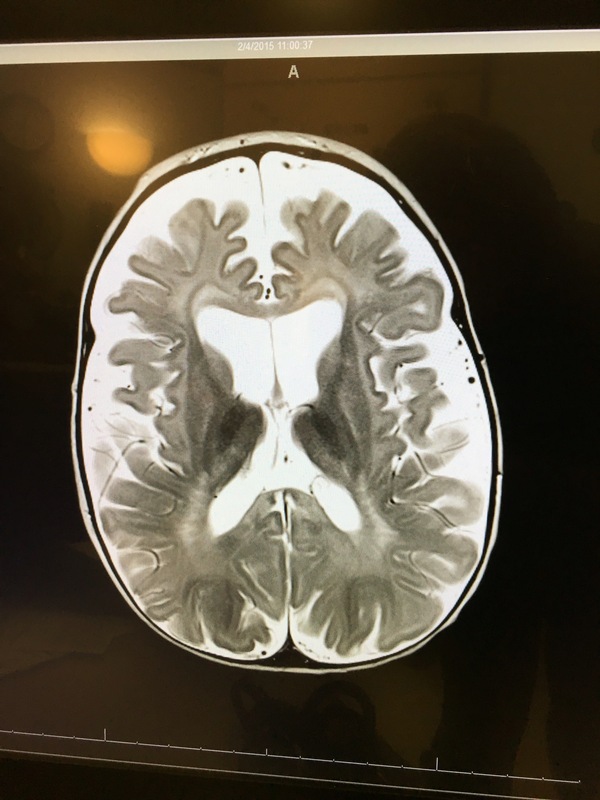 No change in the brain stem or the optic nerve. She has mild hip dysplasia and is at risk for subluxation. This will be helped by her stander. Her bone density is slightly lower. This will also be helped by her stander and by giving her vitamin D and calcium supplements. Overall her peripheral nerves are functioning at about 50%, which correlates with the spinal nerve findings. 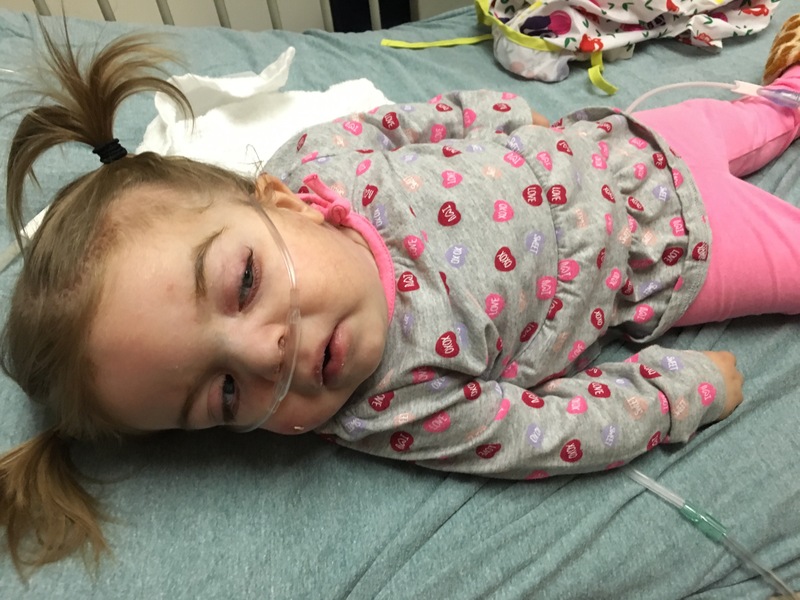 Bottom line: the disease in the brain is more acute than her peripheral nerves. So, overall it is a mix of good and not as good news. 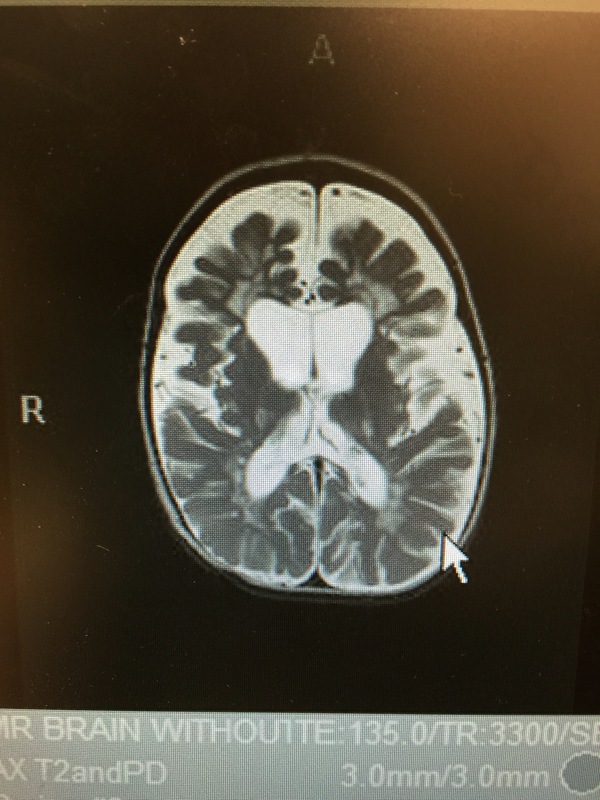 The good news is that she is still doing relatively well and the brain stem is normal (the stem controls so much). The not so good news is that she still has a severe form of Krabbe. But, despite that fact, she is still doing so well! While we didn’t get the miracle we prayed for, we still praise the Lord that He is protecting her from added pain and that she is content.